Most leaders want to leave a lasting legacy, to have a positive impact, yet many leaders fall short of this goal. 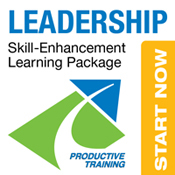 Help your executives or key people increase their ability to lead and develop teams more effectively. We have seen Vice Presidents, Directors and Senior managers often get promoted into additional leadership responsibilities or roles because of their past technical abilities, seniority or work capabilities. You have probably witnessed it too, many leaders have not received enough formal training or assistance on how to be a good leader and there-in lies a potential or existing problem that can have enormous ripple effects. Yes, our executive coaching services for your key people can help them lead and develop teams more effectively. If you have a current or future leader with some skill gaps our coaching process can help you shorten their learning curve! We provide consulting and coaching solutions for both the individual executive/manager as well as management teams. Our clients tend to be business leaders who have already achieved a level of success, and are worthy of investment in their professional and personal development. They are committed to excellence, and have a high level of integrity to that commitment. We have found that whenever a leader takes steps to enhance their own performance it benefits both the individual and the greater organization. In this regard, board members, business colleagues, and senior management recommend coaching for key individuals to reach untapped levels of potential. Business leaders are at times challenged by one or two key areas that keep them from achieving the high level of excellence that they are committed to. Once an executive realizes that they can benefit from anothers assistance in clarifying and taking action towards meeting these challenges, they maximize their return on their investment and professional development efforts. For all clients we maintain a high level of integrity and confidentiality. We are committed to our clients’ improvement goals and their success. What Should You Expect Within this Coaching Process? Our clients can expect to be both encouraged and strongly challenged through a process that is custom tailored towards their objectives and needs. Additional coaching sessions can easily be added onto any of our packages if needed. Coaching sessions are held at a mutually convenient time and location. If location, convenience or accessibility is an issue, coaching sessions can be conducted over the phone or as a live webcast through our live meeting platform. at a minimum they are willing to acknowledge a weak skill area needing improvement. skills that are needed for success in the business world. Coaching is a professional development tool that builds and expands on the leadership, management, and relationship. Today, more of our clients are also using coaching as a way to better leverage and expand existing strengths and to utilize existing resources to achieve a higher level of success. Now more than ever, business leaders are discovering the benefits of having a professional coach to assist them in achieving greater results in business relationships and in their field of expertise. In our experience working with within a variety of organizations, we have seen many planning efforts fail, not in the actually planning, but in the lack of follow through and execution in a dynamic business environment. How many times have you seen a strategic plan or consulting intervention result in a folder that sits on the shelf? Coaching provides a powerful combination of ingredients including clear focus, goal setting and accountability. These coaching ingredients help individuals or teams to follow through on the action steps needed to make measurable progress on meaningful priorities for better results. We believe in training. But we also don’t believe that leadership or team training efforts alone are effective. Workshops, seminars and off sites certainly help in the learning of effective skills. But like the professional athlete, the successful business leader must “practice” and continually stretch to integrate new skills to the level where they are instinctual and more automatic. Executive coaching reinforces the learning process through the integration of knowledge and skills matched with consistent behaviors/actions. As business professionals; almost all of us improve incrementally over a period of time. Think about it; the process above illustrates what each of us has gone through in our past whenever we’ve made some type of self-improvement in our personal or professional skills or abilities. What our effective coaching process does is take the self-improvement process and accelerate it. We accomplish this by formalizing improvement needs with upfront commitments to mutual goals, agreed-upon focused behaviors/practices and repeated accountability in follow-up meetings. Along the way participants are provided the proven tools, resources and support necessary to help sustain new habits and eventually new/preferred behaviors. engaged coaches at the executive level. “The coaching & training that you gave me was an outstanding experience and it helped me a lot. I really did get a ton out of it. It was seriously a learning experience like I haven’t had in a long time. Anyhow, we have another manager here that would like similar training.